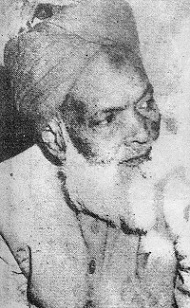 Maulana Abdul Haq (Urdu : عبدالحق‬‎, Pashto : عبدالحق‎, ‘Abdul-Ḥaqq; 11 January 1912 –7 September 1988) of Akora Khattak, sometimes referred to as Abdul Haq Akorwi (Urdu : عبدالحق اکوڑوی‬‎, ‘Abdul-Haqq Akoṛwī) was a Pakistani Islamic scholar and the founder, chancellor, and Shaykh al-Hadith of the Islamic seminary Darul Uloom Haqqania. He was involved in politics as a member of the political party Jamiat Ulema-e-Islam. He served three times in the National Assembly of Pakistan and was an active proponent of the Khatm-i Nabuwwat movement. Darul Uloom Haqqania is an Islamic religious seminary located in Akora Khattak, Khyber Pakhtunkhwa province, Pakistan. The seminary propagates the Deobandi trend of Sunni Islam and was founded along the lines of Darul Uloom Deoband. It has been dubbed as The University of Jihad due to the methods and content of instruction along with the future occupations of its alumni. Abdul Haq completed his religious education in India at Darul Uloom Deoband. He taught at Deoband for four years until difficulties arose due to the independence of Pakistan. In 1947, he founded Darul Uloom Haqqania in Akora Khattak, one of the first Islamic seminaries to be established in Pakistan. He taught hadith at the madrasah for the rest of his life and was well known by the title "Shaykh al-Hadith". The partition of India in 1947 eventually accompanied the creation of two independent dominions, India and Pakistan. The Dominion of India became, as of 1950, the Republic of India (India), and the Dominion of Pakistan became, as of 1956, the Islamic Republic of Pakistan (Pakistan). In 1971, the People's Republic of Bangladesh (Bangladesh) came into being after Bangladesh Liberation War. The partition involved the division of three provinces, Assam, Bengal and Punjab, based on district-wide Hindu or Muslim majorities. The boundary demarcating India and Pakistan came to be known as the Radcliffe Line. It also involved the division of the British Indian Army, the Royal Indian Navy, the Indian Civil Service, the railways, and the central treasury, between the two new dominions. 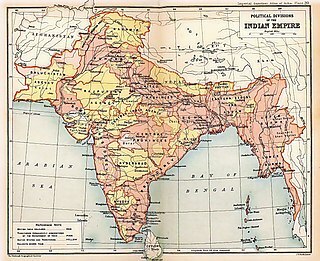 The partition was set forth in the Indian Independence Act 1947 and resulted in the dissolution of the British Raj, as the British government there was called. 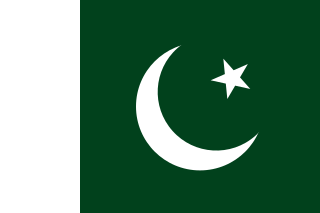 The two self-governing countries of Pakistan and India legally came into existence at midnight on 14–15 August 1947. Peshawar District is a district in Khyber Pakhtunkhwa province of Pakistan. It is located about 160 km west of the Pakistan's capital Islamabad. The district headquarter is Peshawar, which is also the capital of Khyber Paktunkhwa. 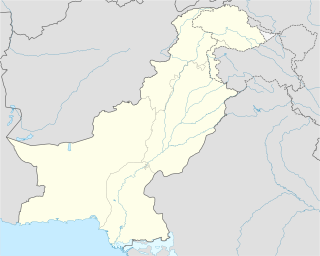 Mardān is a city in the Mardan District of Khyber Pakhtunkhwa Province, Pakistan. Located in the Valley of Peshawar, Mardan is the second-largest city of Khyber Pakhtunkhwa, after the nearby city of Peshawar. Chhachh or Chach is a region consisting of an alluvial plain extending from Attock District of Punjab, Pakistan, southwest of Topi and Swabi. Meerut, is a city in the Indian state of Uttar Pradesh. It is an ancient city, with settlements dating back to the Indus Valley civilisation having been found in and around the area. The city lies 70 km (43 mi) northeast of the national capital New Delhi, and 453 km (281 mi) northwest of the state capital Lucknow. Dars-i Nizami is a study curriculum or system used in traditional Islamic institutions (madrassas) and Dar Ul Ulooms, which originated in the Indian subcontinent in the 18th century and can now also be found in parts of South Africa, Canada, the United States, the Caribbean and the UK. Maulana Abdul Haq was the founder member of Jamia Millia Islamia (A Central University), New Delhi, India. He was elected as a member of foundation committee of Jamia Millia Islamia, New Delhi which was headed by Sheikhul Hind Maulana Mahmood Hasan. Such committee has several other members such as Maulana Abdul Bari Farang Mahli, Maulana Mufti Kifayatullah, Maulana Shabbir Ahmad Usmani, Maulana Hussein Ahmad Madani etc. Deobandi is a revivalist movement within Sunni Islam. It is centered in India, Pakistan, Afghanistan, and Bangladesh, has spread to the United Kingdom, and has a presence in South Africa. The name derives from Deoband, India, where the school Darul Uloom Deoband is situated. The movement was inspired by scholar Shah Waliullah Dehlawi (1703–1762), and was founded in 1867 in the wake of the failed Sepoy Rebellion in northern India a decade earlier. Manazir Ahsan Gilani was an Islamic scholar from the Deobandi school of thought, which is one of the major Islamic schools in Indian subcontinent. Maulana Manazir Ahsan Gilani is often referred as Muhaqiqe Islam, Sultanul Qalam and Mutakallime Millat. He was born on the 9th of Rabiul Awal 1310 H in a village called Gilani in Bihar. His father’s name was Abul Khair. Their Arab descendants reached the Indian subcontinent about three centuries ago via Iran and finally settled in a village which came to be known as Gilaan. His elementary education was at home and then he stayed in Tonk for six years studying under the revered Maulana Syed Hakeem Barakaat Ahmad. Thereafter, he was admitted in Darul Uloom Deoband and studied Bukhari and Tirmizhi from Shaikhul Hind Maulana Mehmood-ul-Hasan and also accepted Shaikhul Hind as his spiritual mentor. He also studied Muslim from Maulana Anwar Shah Kashmiri. His other teachers at Darul Uloom Deoband include: Maulana Shabir Ahmad Usmani, Mufti Azizur Rahman Usmani, Maulana Habibur Rahman Usmani and Maulana Syed Ashghar Hussain Deobandi. While at Darul Uloom Deoband, he was noticed by his teachers to have special qualities which outshined him from the rest of the students. Muhammad Masihullah Khan Sherwani Jalalabadi was an Indian Deobandi Islamic scholar known as an authority in Sufism. He was among the senior khalifahs of Ashraf Ali Thanvi, who gave him the title "Masih al-Ummah". 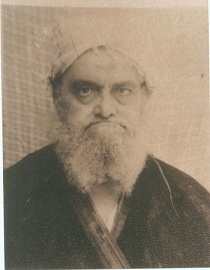 Maulana Hassan Jan Madani was a Pakistani Islamic scholar. He was born on 6 January 1938 in Prang, Charsadda. He was Shaikhul-Hadith at Darwesh Masjid in Peshawar and used to deliver Friday sermons in the same mosque. He was also the vice president of Wifaqul-Madaras, the largest board of Islamic universities (Jamiat). Sayyid Muḥammad Anwar Shāh ibn Mu‘az̤z̤am Shāh Kashmīrī was a Kashmiri Islamic scholar from former British India. During his career, he taught at a number of prominent institutions, including the Darul Uloom Deoband which contains a gate named in his honor. He authored a numbers books on Islam, which were published in Arabic and Persian. Jamiah Islamiah Talimuddin Dabhel, popularly known as Dabhel Jamiah Islamiah or Jamiah Islamiah Dabhel, is one of the historical institutions of higher Islamic education in the sub-continent. Maulana Ahmed Hasan Bham, student of Maulana Ahmad Miya Lajpuri established the Jamia in 1908 A.D. It is situated at Dabhel, surat, India. 1 2 "Molana Sami Ul Haq". Darul Uloom Haqqania. Retrieved 7 October 2012. 1 2 3 4 5 6 7 8 9 10 11 "Molana Abdul Haq (R.A)". Darul Uloom Haqqania. Archived from the original on 2 January 2014. 1 2 3 4 5 6 7 Muḥammad Akbar Shāh Buk͟harī (1999). اکابر علماء دیوبند / Akābir ‘Ulamā'-i Deoband (in Urdu). Lāhaur: Idārah-yi Islāmiyāt. 1 2 Qurayshi, Ijazul Haq. "Maulana Abdul Haq - Islami Tahrikuno Asar". khyber.org. 1 2 3 4 5 6 7 8 9 10 11 12 Khattak, Quraysh. "Maulana Abdul Haq". khyber.org. ↑ "Maulana Samiul Haq". Senate of Pakistan. Retrieved 26 July 2012. ↑ "5th National Assembly" (PDF). National Assembly of Pakistan. Retrieved 7 October 2012. ↑ "6th National Assembly" (PDF). National Assembly of Pakistan. Retrieved 7 October 2012. ↑ "7th National Assembly" (PDF). National Assembly of Pakistan. Retrieved 7 October 2012. ↑ Maulana Allah Wasaya. Qadiyaniat Defeated in the Parliament. ↑ Muhammad Taqi Usmani; Sami ul Haq (January 2005) . Qadianism on Trial. trnns. Muhammad Wali Raazi. London: Khatme Nubuwwat Academy. p. 209. ↑ Long, Justin. "Darul Uloom Haqqania: Training Camp for Islamic Leaders, Afghani Taliban". Network for Strategic Missions. Retrieved 7 October 2012.